Other Products by MAXS Supplements. Search other Protein Bars products. 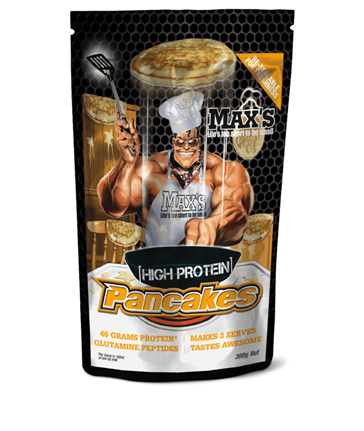 Building muscle has never tasted better….you need Max’s High Protein Pancakes. 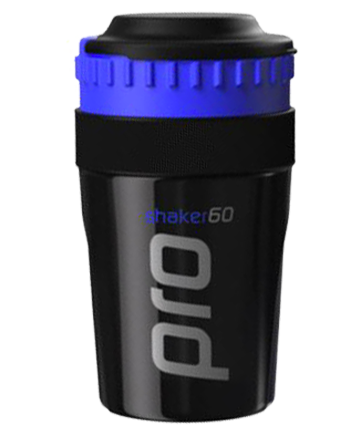 Delivering a blend of protein and carbohydrates this lean muscle-building treat offers a great tasting variation from protein shakes. High Protein Pancakes provide 40g protein from a blend of protein sources along with waxy maize carbohydrates to potentiate muscle growth. Max’s High Protein Pancakes are great for an early brekky and afternoon snack or just a tasty alternative to your usual protein fix. Makes 3 serves of 4 delicious protein pancakes. INGREDIENTS: Max's Protein Blend (Whey Protein Concentrate, Soy Protein Isolate, Whey Protein Isolate, Egg White Protein), Wheat Flour, Wholemeal Flour, Erythritol, Waxy Maize Starch, Mineral Salts (339, 341, 450, 500), Glutamine Peptides, Salt, Sucralose. Contains: Milk, Egg, Soy Proteins & Milk.